MACAULAY’S New Zealander, so I hear, will view the ruins of St. Paul’s from London Bridge; but as for me, I prefer that more westerly arch which celebrates Waterloo, there to sniff and immerse myself in the town. The hour is eight o’clock post meridien and the time is early summer. I have just rolled down Wellington Street from the Strand, smoking a ninepence Vuelta Abajo, humming an ancient air. One of Simpson’s incomparable English dinners— salmon with lobster sauce, a cut from the joint, two vegetables, a cress salad, a slice of old Stilton and a mug of bitter—has lost itself, amazed and enchanted, in my interminable recesses. My board is paid at Morley’s, I have some thirty-eight dollars to my credit at Brown’s, a ticket home is sewn to my lingerie, there is a friendly jingle of shillings and sixpences in my pocket. The stone coping invites; I lay myself against it, fold my arms, blow a smoke ring toward the sunset, and give up my soul to recondite and mellow meditation. There are thirteen great bridges between Fulham Palace and the Isle of Dogs, and I have been at pains to try every one of them; but the best of all, for such needs as overtake a well fed and ruminative man on a summer evening, is that of Waterloo. Look westward and the towers of St. Stephen’s are floating in the haze, a greenish slate color with edges of peroxide yellow and seashell pink. Look eastward and the fine old dome of St. Paul’s is slipping softly into greasy shadows. Look downward and the river throws back its innumerable hues —all the coal tar dyes plus all the duns and drabs of Thames mud. The tide is out, and along the south bank a score of squat barges are high and dry upon the flats. Opposite, on the Embankment, the lights are beginning to blink, and from the little hollow behind Charing Cross comes the faint, far-away braying of a brass band. All bands are in tune at four hundred yards, the reason whereof you must not ask me now. This one plays a melody I do not know, a melody plaintive and ingratiating, of clarinet arpeggios all compact. Some lay of amour, I venture, breathing the hot passion of the Viennese Jew who wrote it. But so heard, filtered through that golden haze, echoed back from that lovely panorama of stone and water, all flavor of human frailty has been taken out of it. There is, indeed, something wholly chastening and dephlogisticating in the scene, something which makes the joys and tumults of the flesh seem trivial and debasing. Aman must be fed, of course, to yield himself to the suggestion, for hunger is frankly a brute; but once he has yielded he departs forthwith from his gorged carcass and flaps his transcendental wings. . . . Do honeymooners ever come to Waterloo Bridge? I doubt it. Imagine turning from that sublime sweep of grays and somber gilts, that perfect arrangement of blank masses and sweeping lines, to the mottled pink of a cheek lately virgin, the puny curve of a modish eyebrow, the hideous madness of a trousseau hat! . . .
Clowns argue, to be sure, that London is not beautiful. You have heard them and so have I. They have composed many volumes on the subject, and they write to the newspapers incessantly. The Houses of Parliament, it appears, are defectively Gothic: here is a gargoyle with the wrong ears, there is an oriel with corbels unfit for publication. Again, Somerset House has the color of a coal hole and the shape of a Philadelphia pie woman. Yet again, St. Paul’s is spoiled and made a mock of by the fact that no one has ever torn down all the houses between it and the Temple and planted the ensuing desert with alfalfa and daffodils. Yet again, Trafalgar Square is the iron dream of a man with calcareous arteries, a graphic representation of a psychic arteriosclerosis, a delirium of hardness, a corundum nightmare. Yet again, the common statues of the town are as glyptic patent medicine advertisements, or rather say warnings—gaunt effigies of kings and queens that never were on land or sea—horrible petrifications of superosseous field marshals—gross, lithic libels upon the angels. Yet again, and to make an end, the river Thames is the most obscene of all the world’s sewers, a foul tide of slime and dead cats, a stream too narrow to have dignity and too tortuous to have repose and too drab to wake the harmonious lyre. Alas, what a caterwauling of pedants—what a forgetting of the forest in a row over the trees! Put away the Houses of Parliament and Somerset House and St. Paul’s and Trafalgar Square, and have a look at London. Feast your eyes upon the grayest, dourest, cruelest, dingiest, lordliest, loveliest town in all creation. Let your gaze sweep slowly from the towers of London Bridge, just visible on the eastern sky line, to the battlements of Lambeth, floating mistily in the west. At once those sore and dubious details drop back into the great drab picture. Now the river ceases to be a sewer and becomes a broad and beautiful curve, a magnificent “S,” snaking out of the hitherto and into the yon. St. Stephen’s, reduced but still dominating, is a dark mass, a blotch of greenish and diaphanous shadow, softening and mitigating that curve at its widest sweep. Somerset House is another and larger and darker mass, with hints of fathomless depths in its blackness. St. Paul’s is the apex of a great convergence of majestic lines, the crown surmounting a stupendous drapery, the Matterhorn of this luminous range of hills. And there, in the foreground, are the lights of the Embankment, a string of winking topazes, and above them the staring incandescence of the Strand hotels, and beyond the eternal lights o’ London, sweeping up to the stars . . . . Ugly? Pish! If London is ugly, thus melting into the dusk of a summer evening, then there is no beauty in the world. Afloat upon such lofty and ennobling meditations, staring into the gathering night, my cigar gone out, my coattails brushed by the passing crowd, I am reunited to the bridge and the firm ground by a hand upon my shoulder. A massive, billowy man, smoking an American cigarette in a long amber holder, introduces himself: a Mr. McDannald of Virginia. 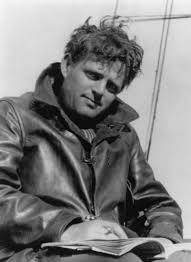 I remember the fellow: in fact, we crossed the Atlantic together, and have dined together this evening and share a modest chamber at Morley’s. His proposal is that we return to the Strand, board a ‘bus, and proceed to Shaftesbury Avenue, there to look about for a vaudeville show. The journey is made in ten minutes, up the Strand to Trafalgar Square, around the huge lions into Cockspur Street, then up the Haymarket to Piccadilly Circus. Ten minutes—and we have come from a land of imposing lines and solemn shadows into a land of rouge and yellow light. Here, among the theaters, is where London tries to be Paris, just as she tries to be New York in Regent Street. Here is where the most moral town in Christendom discovers her native hoggishness. Here is the great slave market of the English. But we are out for vaudeville and not for slaves, and so we pursue our virtuous way up the stream of amiable fair until we reach the Palace Music Hall, where a poster advertising a Russian dancer inspires us to part with half a dozen shillings. Luxurious seats of red velvet, wide enough for a pair of German contraltos, invite to slumber, and the juggler on the stage does the rest. Twenty times he heaves a cannon ball into the air, and twenty times he catches it safely on his neck. The Russian dancer, we find, is booked for ten thirty, and it is now but eight fifty. “Why wait?” says McDannald. “It will never kill him.” So we try another hall—and find a lady with a face like a tomato singing a song about the Derby, to an American tune that was stale in 1907. Yet another—and we are in the midst of a tedious ballet founded upon “Carmen,” with the music reduced to jigtime and a flute playing out of tune. A fourth—and we suffer a pair of comedians who impersonate Americans by saying “Naow” and “Amurican.” When they break into “My Cousin Carus'” we depart by the fire escape, guided by the red light and pursued by two young women who labor under the delusion that they know us. We have now spent eight dollars on divertissement and have failed to be diverted. We take one more chance, and pick a prize—Little Tich, to wit, a harlequin no more than four feet in his shoes, but as full of humor as a fraternal order funeral. Before these few lines find you well, Little Tich, I dare say, will be on Broadway, drawing his four thousand stage dollars a week and longing for a decent cut of mutton. But we saw him on his native heath, uncontaminated by press agents, unboomed by a vociferous press, undefiled by contact with acquitted murderers, eminent divorcees, “perfect” women, returned explorers who never got where they went, and suchlike prodigies and nuisances of the Broadway ‘alls. Tich, as I have said, is but four feet from sole to crown, but there is little of the dwarf’s distortion about him. He is simply a man in miniature: in aspect much like any other man. His specialty is impersonation. First he appears as a drill sergeant, then as a headwaiter, then as a gas collector, then as some other familiar fellow. But what keen insight and penetrating humor in every detail of the picture! How mirth bubbles out! Here we have burlesque, of course, and there is even some horseplay in it, but at bottom how deft it is, and how close to life, and how wholly and irresistibly comical! You must see him do the headwaiter—hear him blarney and flabbergast the complaining guest, observe him reckon up his criminal bill, see the subtle condescension of his tip grabbing. This Tich, I assure you, is no common mountebank, but a first-rate comic actor. Given legs eighteen inches longer and an equator befitting the role, and he would make the best Falstaff of our generation. Even as he stands, he would do wonders with Bob Acres—and I’d give four dollars any day to see him play Marguerite Gautier. McDannald entered the Tich ‘all, whatever its name, full of the biles of hope deferred, but Tich soon had him shaking like a blanc-mange, and at the end he was in such high good humor that he proposed supper. But where? Simpson’s was closed by now and the nearby restaurants were all gilded hells, inhospitable to a pair of gentlemen in brown gaiters and lavender shirts. Why not a trial of English oysters? Wasn’t there an oyster house, or something of the sort, somewhere in the Strand? . . .We left the ‘all of Tich and fought our way, by slow stages, through the jungle of easy ladies on the sidewalk. Mac got through with no worse damage than the thrust of a hatpin through his starboard ear, but I lost an eyebrow and a scarfpin and emerged all covered with strands of blonde and pseudo-blonde hair, like a Christmas tree with tinsel. And so, as Pepys would say, by hackney coach to the Strand, where we quickly mounted stools and ordered a couple of dozen “natives,” such being the English name for oysters, apparently to distinguish them from clams. They came on in their thin, greenish shells —slimy, saturnine, sad. Mac speared the largest with his fork and downed it at a gulp. A smile at once gallant and horrible, a smile of bitter duty, of politeness become pathological, flickered across his face. I asked the obvious question. Still hanging back myself, I pursued him for more specific encomiums. He swallowed a second, blinked his eyes, and made reply. A palpable untruth—but I made a brave plunge, and so got that neglected knowledge. Of the hyposulphite of commerce I am now aware and wary. It is a brackish, sardonic victual, a hideous match for Philadelphia pepper pot, a blood brother to the glucose apple pie of Pittsburgh. But I ate it, or, at any rate, the English “natives” from which it is squeezed, and faced down the satirical Virginian. He, pale and staring, was in such obvious distress after the sixth that the waiter came to his aid. The perfect English waiter was unruffled. And he pushed forward a bottle of Worcestershire—with the name of Heinz upon the label! After all, not a novel experience in London. The Worcestershire sauce in half of the “old English” restaurants is Heinz’s. So far has the American invasion gone. All Englishmen who have ever heard of America, and can afford it, wear American shoes—perhaps .0002 per cent, of the whole population. All English vaudevillians sing American songs, picking out the worst infallibly. The American garter hugs the slim legs of the nobility and gentry. American whiskey has begun to trickle down their throats, and before long, no doubt, it will rage like the Irrawaddy in flood. English newspapers are set up by American linotype machines and printed on American presses. The white paper they use—and also the green and pink paper—is the attenuated and endless corpse of the American (or, at least, the Canadian) birch, and scores of their bright young men are Americans, or Jews, which has come to mean the same thing. American bathtubs have changed the English bath from an esoteric debauch into a genuine bout with soap and currycomb. The trolley car, the typewriter, ragtime, the phonograph, the incandescent light, detachable cuffs, floating soap, the union suit, the sectional bookcase, the slot machine, steam heat, the gas stove, the press agent, the shoot-the-chutes, the flying machine, graft, poker, condensed milk, fake Pilsener, the Independent Order of Odd Fellows, the two-step, the crayon portrait, the canned book review, the virtuous chorus girl and the telephone—all American inventions—have been adopted and naturalized by the English. There are now, indeed, almost as many telephones in London as in Toledo, O. But you must go down into the City proper, into the regions lying fore and aft of the Bank of England, to get the full measure of this slow and fatal Americanization. This is the quarter of manufacturers’ agents—and on all sides the signs announce familiar American wares. The Yale lock, the Remington typewriter, the Globe-Wernicke filing cabinet, the Gillette safety razor, the Heinz pickle, Peruna, the Douglas shoe, the Campbell canned soup, Ivory soap, Horlick’s malted milk, Huyler’s chocolates, Omega oil, the Fairbanks scale, the Oliver plow, the Victor phonograph— all of these commercial commonplaces of our own fair land are fast becoming the commonplaces of England, too. But don’t mistake me: there is a limit, and at times a sense of its rigidity is pressing. In all London you will not find a single American five-cent cigar. In the whole of the Strand and Fleet Street, between Trafalgar Square and Ludgate Circus, there is but one tobacconist who sells American plug tobacco—and he, as if to wring tribute for his daring, charges a shilling for a nickel plug. Search this capital of the world from center to perimeter and you will not find a single bootblack who knows his business, or a single barber who penetrates to the true technique of the hot towel, or a single real first-class soda fountain, or a single box of decent matches, or a single corn cob pipe, or a single bartender with enough pride in his art to wear a diamond stud. These great boons and usufructs of life in the United States are unknown to the Londoner. Never having been in the United States, and distrusting the sagas of those who have, he gets along without such things, just as he gets along without skyscrapers. In the same way, he still carries most of his money in heavy and inconvenient coin, instead of putting it sanely into five-, ten- and twenty-shilling bills; and he still fights for his luggage at railroad stations, instead of checking it and forgetting it; and he still wears shirts which do not open all the way down the facade and so have to be boarded by climbing through them from below. McDannald, greatly admiring English madrases, sought half a dozen ready-made shirts in the Strand and Regent Street, but had to give it up: his arteries are too brittle for athletics. The thing had to be explained in greater detail. But that wasn’t the real reason why my friend from Virginia didn’t buy. To find that real reason you must regard his outlines: a series of convexities, an arrangement of interrupted arcs, a maze of graceful bulges and protuberances. In brief, the fellow is somewhat bunchy, as I am myself—and the Englishmen for whom English shirts are made are as fat as so many mackerel. Walk Pall Mall from ten in the morning to five the next morning and you will not see a single paunch, leap-tick or corporation. John Bull, true enough, is always depicted as a man of girth, and some of the aldermen in the City, I suppose, have banqueted themselves into rotundity, but the normal Englishman, the average, the typical Englishman, presents an almost rectangular cross-section. Such a being, no doubt, is able to insert himself into the archaic English shirt, sinuously and without swearing. But as for Mac— ! And as for me—! And yet, as I have hinted, the English do not repine, nor is it recorded that they gnash their teeth. A slim and resilient race, they do not miss the delights of corpulence. A race devoted for countless generations to useless endeavor, and stewing in the unruffieable self-respect it breeds, they are content to enter their clothes like felons entering the fatal noose. What is more, their contentment, if not in this case then at least in most other cases, is pretty well grounded and defended. If, for example, they have no skyscrapers, it is not because they are too stupid to build skyscrapers, or too timid, or too poor, but simply because they don’t want them. Why should buildings be set on end when they might just as well be set on their sides? Why should a man travel six hundred feet into the air when it would be cheaper, quicker and safer to travel a thousand feet on the level? Do our own skyscrapers save us much time? I doubt it. Two blocks from most of them you will find vacant lots, or rows of tumble down and useless houses. Wouldn’t it be saner to utilize such waste space instead of stealing space from the arch angels? And wouldn’t it be easier to walk to the ensuing buildings, or even to crawl to them, than it is now to fight for a place in an elevator which stops at every floor, and is peopled to suffocation by a populace scented richly by nature and deliriously by art? So argue the English, and the consequence is that London is one of the most spacious towns in the world. Its people are innumerable, but they are spread thin. Its streets do not run due north and south and due east and west, on the absurd theory that everybody wants to follow the parallels of latitude and longitude, but in every direction or directions the traffic of centuries has led. Half of the by-streets which open into Regent Street strike it at angles other than right angles. To get from the British Museum to Aldwych, you do not have to travel the sides of an angle, but may slide down its hypothenuse. The route from London Bridge to the Bank is not due north and then due west, but directly and gracefully north by west. That great thoroughfare which begins as Fleet Street and ends as Cannon Street is not a straight line but a long curve following the river. And so is that greater thoroughfare which begins as Cheapside and runs westward as Holborn, Oxford Street and the Bayswater Road, and eastward as Cornhill, Leadenhall Street and the Mile End Road. Thus the difference between a city that has grown up, naturally and comfortably, out of man’s quarrel with his environment, and our cities of the New World, manufactured on drawing boards by rectanglemaniacs. Another result of this slow growing up is visible in London’s enormous profusion of big and little parks—the lingering relics, nine times out of ten, of great houses which long defied the encroaching town and then tripped over it in the end. Was there ever a city with so many and so various breaks in the moraine of brick and mortar? Get out your map and have a look; the splotches of green make an almost continuous verdure from Hackney in the east to Putney bridge in the west. From the City onward to the West End they actually touch. Start in the cloistered Temple Gardens and follow the green. It takes you westward along the Embankment a good mile to the War Office, and there it leads you into crowded Whitehall, and then it beckons you through the arch of the Horse Guards and into St. James Park. Now it stretches ahead for two miles and a half in a whole archipelago of parks, each joined to the next one. After ancient St. James’s, fragrant with noble scandals and the musks of yesteryear, comes the Green Park, its brother and rival, and cheek by jowl with the Green Park are the grounds of Buckingham Palace. Then comes Hyde Park Corner, and behold, the most famous of all the parks of the world lies before, with Rotten Row showing the way through it. Follow the Row for its historic mile and you will presently find yourself in the lovely meadows of Kensington Gardens, and beyond them you will see the royal dooryard of Kensington Palace. Four miles of green so far, but the end is not yet. A few blocks of asphalt and you are led onward and onward, now north and now north by east, by an apparently infinite series of little squares, some discreetly fenced and padlocked and some open to all who are weary—Princes Square, Leinster Square, Ladbrooke, Pembridge, Porchester, Gloucester, Cambridge, Bryanston, Montague, Portman, Manchester and Dorset squares, to say nothing of Queens Gardens, Norfolk Crescent and Westbourne Terrace. The wide grounds of Regent’s Park now open before you, with their botanical gardens, their zoo and their pretty lake, and beyond them rises Primrose Hill. But still the beacons of green show a further way, this time southeasterly to the place of beginning—Mornington Crescent, Ampthill Square, Endsleigh Gardens, the interminable squares of Bloomsbury, and finally the superb old yards and gardens of the Inns of Court, Gray’s, Lincoln’s and the Temple. Ten miles of green—and all in the very heart of the largest city in the world! These parks and squares of London are thrown together like the streets, upon any plan or no plan at all. No hot sweating of a landscape architect, busy with his calipers and T-square, is apparent in their arrangement. They are set down at random, often uselessly and sometimes even perversely. Not infrequently two competing squares are side by side. Gloucester Square and Hyde Park Square are no more than a stone’s throw apart, and Sussex, Cambridge and Oxford squares are but a block away—and all five are within a minute’s walk of Hyde Park. Euston Square and Endsleigh Gardens are on opposite sides of the Euston Road. Squares cluster about Kensington Gardens like puppies around their ma. Nothing could be more exclusively ornamental, considering the practical uses to which green spaces are commonly put, than some of these little parks. Are they breathing spots? I fear not. Most of the people who live around them are out of London at the only time London air is breathable. Are they, then, resorts for rest and meditation, bowers of retirement in the heart of the town? Alas, most of them are surrounded by high iron rails, and one may not open the door without a key, and one may not have a key unless one owns or leases an adjacent house. In truth, they are not public parks at all, save in a limited, visual sense, but strictly private parks, kept up at the public expense for the benefit of the few who have inherited, bought, rented or borrowed the right to enter. It is the prerogative of the owner of such and such a house, his tenants, guests, heirs and assigns, to enter such and such a square between the hours of 8 a. m. and 10 p. m. There he lies in the grass when he is so inclined (which he never is), and there he pastures his children. If, by any chance, a stranger breaks in, four threes are sounded on a large, fortissimo whistle and a select and indignant posse comitates drives him out. The papers are full of it next morning, and the invader is lucky if he gets off with thirty days. When the owner of such a key sells his house, he turns it over to the new owner in a solemn and even grisly manner, along with the deed, the memorandum of mortgages and the studbook of the resident roaches. To lose a key is as serious an offense as to break a window of Westminster Abbey, and for the same reason. Many of them have been handed down from father to son (or from bankrupt to creditor) for three or four thousand generations, and some of them, despite the inevitable wear and tear, still weigh five pounds. But if the squares of London, and particularly the squares of Mayfair and Belgravia, are thus sniffish and intolerant of the vulgar, the great parks make up for it by offering careless and magnificent hospitality. True enough, there is a charge of a penny for sitting on a bench, but that penny, once expended, gives the spendthrift a monopoly of the bench for the rest of the day or night. Besides, the lawns are wholly free—and it is on the lawns that the weary Londoner prefers to do his lolling. Walk along the Ring road in Hyde Park on a summer day and you will fancy that you are at Gettysburg after the battle. Almost as far as the eye can reach are sprawling figures, some lying flat upon their faces, some on their backs with newspapers or caps over their eyes, some hunched into grotesque and startling shapes, some hideously grouped and commingled, like squads brought down by the vast blast of a field piece or machine gun. Now and then a sleeper rolls over, flinging his arms and legs—for all the world like a man wounded and in pain. At rarer times some fellow with a conscience sits up, stricken, it would seem, by a sense of time wasting, and meditating a move. But I myself have never seen one rise to his legs and depart. It is done, I have no doubt, in the autumn, and perhaps every night, but though I have watched for hours and then circled the Serpentine and come back to watch again, I have not beheld it with these eyes. Once down on that grim field, a man is down for more than a cat nap. The likeness to a battlefield is rein forced by the constant procession of nurses in their elaborate uniforms—long blue or purple cloaks, little round bonnets and napping streamers of white. I mean hospital nurses and not the idle hussies who guard and torture the young. A dozen great hospitals are within a few minutes’ walk of Hyde Park and the fair Samaritans use it for taking the air. Put red crosses on their arms and send them out into the field to disinfect the sleepers, and you would have your shambles to the life. Shambles? After all, why not give this Inkerman of peace the name? These men are the killed and wounded of civilization, butchered and blown to pieces by the shells of industry, mowed down by the withering fire of competition, poisoned and blanched by bad rations, hacked and ground to pieces in the struggle for existence. These are the sub-Englishmen, the by-products of England’s greatness, the anthropoid brothers of the pink and fit Englishmen you see in Pall Mall and the Strand. Christian charity has evolved a new and fearful race in this tight little island. Because it wrung tender hearts to see their grandfathers starve, they themselves, now increased and multiplied enormously, wallow here in the grass, useless, helpless, hopeless. In every hundred of them, there are not four with honest trades to excuse their living. In the best of imaginable times starvation is but three days behind them; in these hard and parlous days they are frank pensioners upon the castes above. Close the workhouses and souphouses of London and a hundred thousand of them would die before Wednesday week. Here they lie, by the flow of the inland river, mentally wounded, physically dying, socially dead. You may see their brothers at night on the Embankment, dodging about Covent Garden, swarming in the filthy lanes of the East End. Their wives are at the doors of the “pubs,” cadging pennies from passersby, a pack of blowzy, frowzy old harridans, the brood animals of this degraded and godforsaken species. Their daughters, if it be night, are in Piccadilly Circus. But enough of this solemn stuff, this mad mixture of fashionable gossip and eugenics. Let us go back to Waterloo Bridge and look at the river. It is night, and a red theatrical moon is hanging over the towers of St. Stephen’s. There below us, a crinkling tapestry of gilts, silvers and coppery pinks, is ancient Father Thames, the emperor and archbishop of all earthly streams. There are the harsh waters (but now so soft!) that the Romans braved, watching furtively for blue savages along the banks, and the Danes after the Romans, and the Normans after the Danes, and in numerable companies of hardy seafarers in the long years following. At this lovely turning, where the river flouts the geography books by flowing almost due northward for a mile, bloody battles must have been fought in those old, forgotten, far-off times—and battles, I venture, not always ending with Roman cheers. One pictures some young naval lieutenant, just out of the Tiber Annapolis, and brash and nosey like his kind —one sees some such youngster pushing thus far in his light craft, and perhaps going aground on the mud of the south bank, and there fighting to the death with Britons of the fog-wrapped marshes, “hairy, horrible, human.” And one sees, too, his return to the fleet so snug at Gravesend, an imperfect carcass lashed to a log, the pioneer and prophet of all that multitude of dead men who have since bobbed down this dirty tide. Dead men—and men alive, men full of divine courage and high hopes, the great dreamers and experimenters of the race. Out of this sluggish sewer the Anglo-Saxon, that fabulous creature, has gone forth to his blundering conquest of the earth. And conquering, he has brought back his loot to the place of his beginning. The great liners, flashing along their policed and humdrum lanes, have long since abandoned London, but every turn of the tide brings up her fleet of cargo ships, straggling, weather-worn and gray, trudging in from ports far-flung and incredible—-Surinam, Punta Arenas, Antofagasta, Port Banana, Tang-Chow, Noumea, Sarawak. If you think that commerce, yielding to steel and steam, has lost all romance, just give an idle day or two to the London docks. The very names upon the street signs are as exotic as a breath of frankincense. Mango Wharf, Kamchatka Wharf, Havannah Street, the Borneo Stores, Greenland Dock, Sealers’ Yard —on all sides are these suggestions of adventure beyond the sky-rim, of soft, tropical moons and cold, arctic stars, of strange peoples, strange tongues and strange lands. In one Limehouse barroom you will find sailors from Behring Straits and the China Sea, the Baltic and the River Plate, the Congo and Labrador, all calling London home, all paying an orang-outang’s devotions to the selfsame London barmaid, all drenched and paralyzed by London beer . . . The kaiserstadt of the world, this grim and gray old London! And the river of rivers, this oily, sluggish, immemorial Thames! At its widest, I suppose, it might be doubled upon itself and squeezed into the lower Potomac, and no doubt the Mississippi, even at St. Louis, could swallow it without rising a foot—but it leads from London Bridge to every coast and headland of the world! Of all the pathways used by man this is the longest and the greatest. And not only the greatest, but the loveliest. Grant the Rhine its castles, the Hudson its hills, the Amazon its stupendous reaches. Not one of these can match the wonder and splendor of frail St. Stephen’s, wrapped in the mists of a summer night, or the cool dignity of St. Paul’s, crowning its historic mount, or the iron beauty of the bridges, or the magic of the ancient docks, or the twinkling lights o’ London, sweeping upward to the stars . . .